Incredible LOCATION! Great VALUE! Surrounded by lush palms, close to hiking, El Paseo shopping & dining, this gorgeous 4BD/3BA home is perfectly situated on a corner lot in South Palm Desert. Offering impressive curb appeal & approx. 2,848 sq. 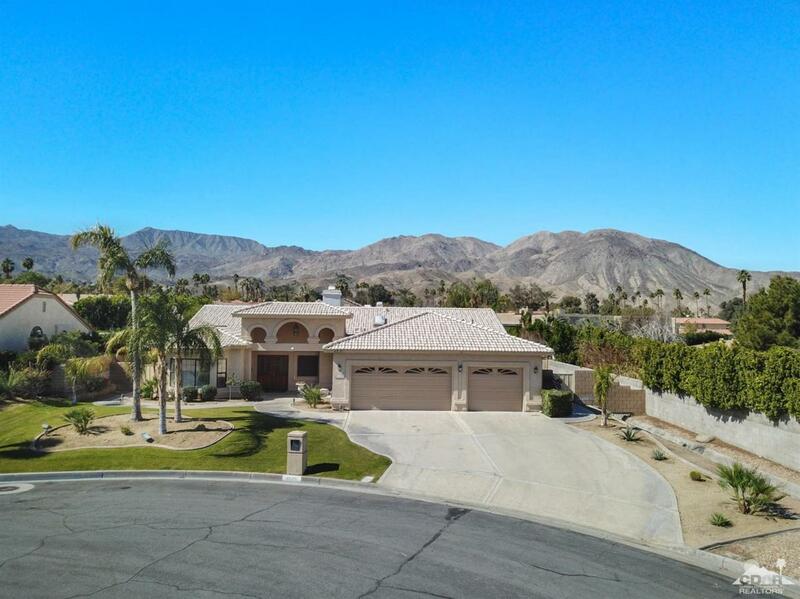 ft. of meticulously maintained open & inviting living space, this home offers the ultimate desert lifestyle w/ well-designed outdoor living space. The grand double door entry opens to an elegant foyer w/ high ceilings & custom window treatments thru-out, formal living room w/ feature fireplace & front view, formal dining area, wet bar, spacious great room w/ fireplace & pool views, spacious kitchen w/ oversized island & breakfast nook. Generous master retreat w/ sparkling pool views, large walk-in closet & luxurious en suite BA w/ dual vanities, walk-in shower & soaking tub. 3 guest BD (one utilized as an office), 2 convenient guest BA & laundry room. Don't miss the opportunity to lounge poolside & enjoy iconic desert views in a prime location!